Excited about writing up my first post, woohoo! I have recently come across the most amazing face products, and have been sharing them with all the people I know so I wanted to tell you all about them too! These three products have helped me clear up my skin, (if you have any occasional breakouts, as I do) as well as clean, repair, and moisturize for a constant glowing and healthy looking face! So let’s get to it! I think I’m late to get on this bandwagon, but my sister just recently recommended it to me and I have been OBSESSED ever since. I’ve read everywhere about how facial cleansing brushes “can clean in a way that hands can’t” and it’s just absolutely true. My pores looked different from the very first use. It really cleans so fully and gets all the makeup off so easily that you can physically see the difference immediately. It has a little one minute timer built in, (to prevent excessive scrubbing) you cover your whole face moving the brush in tiny circles, it turns off automatically when one minute is up, and voila! A level of clean that I’ve never felt before! Also the brush is gentle enough to use twice a day, but I usually only use it once at night as I don’t want to deeply clean my face too much. There are other brands than Clarisonic on the market but I read up a bit, and trusted this brand the most. I liked that Clarisonic uses a technology where the brush actually spins back and forth in little motions very quickly, rather than spinning in circles, as many other brushes out there do, which can be too abrasive on the skin. I have the Mia 1 model which costs $99 and is the least expensive model. I bought mine on Amazon: Clarisonic Mia 1, Sonic Facial Cleansing Brush System, Pink . The cleanser I use with my Clarisonic brush is the Avalon Organics Facial Cleansing Gel. I love any products, really, by Avalon Organics because they use safe ingredients while cleansing thoroughly. It says right on the front of the bottle “no GMOs, synthetic fragrances, phthalates, harsh sulfates, or parabens.” I will definitely be writing a post later on about ingredients to avoid in skin and hair products and why, but for now, many of these harmful ingredients listed are found in big brand facial cleansers and should be avoided at all costs! And anyways, I found this cleanser at T.J. Maxx for $6.99, which now carries a bunch of other Avalon Organics products. So they are in the same price range as the popular, big brand facial cleansers, and are better for your skin…why not switch over? Find it here: Avalon Organics Intense Defense Cleansing Gel, 8.5 Fluid Ounce . Egyptian Magic is my new obsession. For real. I don’t have enough great things to say about it. I’ve read about it for years in magazines but didn’t think to purchase it until recently, when I saw it for sale at Costco (gotta love Costco) for $39.99 for these three containers of 4oz., 2oz., and a little travel size. (Actually it was even on special sale when a bought it for $32 woop! woop!) The ingredients in Egyptian Magic are ultimately what convinced me to buy it: Olive Oil, Beeswax, Honey, Bee Pollen, Royal Jelly and Propolis Extract and has no synthetic preservatives or fragrances added. ALL completely natural, beautiful, good-for-you things…how couldn’t they do wonders for your skin?? Sidenote: Products from bees are just magical for your health so as soon as I saw that honey, beeswax and royal jelly were involved, I was sold. Royal Jelly, for those that don’t know, is a substance made by bees that is only eaten by larvae and adult queen bees. If it’s exclusive enough for the queen bee, it’s gotta be good stuff for us too! Why is it called “Egyptian Magic”? It says on the container, “Ancient Egyptian folklore recalls a miraculous skin cream, a secret of the great sages, mystics, magicians and healers, used to maintain radiant, healthy, smooth and glowing skin.” I love studying ancient Egypt and I don’t doubt that they used what they had available in nature to help them achieve beautiful skin! The cream is in a semi-solid form that I like to “dig” out with the top of my fingernail and smooth between my hands until it “melts” a bit into an oil before applying all over my face and to any other dry spots on my body. It just feels amazing too! I have referred this products to several friends and family members, after seeing it’s amazing results in clearing up my breakouts, who have all given me glowing reviews (no pun intended 😉 ). One friend of mine is in her 40s and has had breakout-prone skin all her life. She had been using Retin-A cream for years, which is a prescription cream for acne, among other things. Needless to say, it contains all kinds of medicines and chemicals. She switched over about a month ago to Egyptian Magic and tells me that she has never had clearer skin in her LIFE. All of her breakouts have stopped and she doesn’t have to feed her body all those strong chemicals any more. Several of my friends have told me similar stories as well. And as I mentioned briefly, it can be used all over the body, not just the face, and aids in bringing relief to extremely dry, itchy skin we might have in these winter months. The Costco price of $39.99 is a great deal and not much cheaper than the price per ounce I have seen on Amazon. There are also tons of celebrity endorsements on their website- egyptianmagic.com – which speaks really highly to its quality. Those people can afford ANYTHING for their skin, and choose to buy this affordable product. I hope you guys got something out of my post about clearing your skin and treating it well on a daily basis! 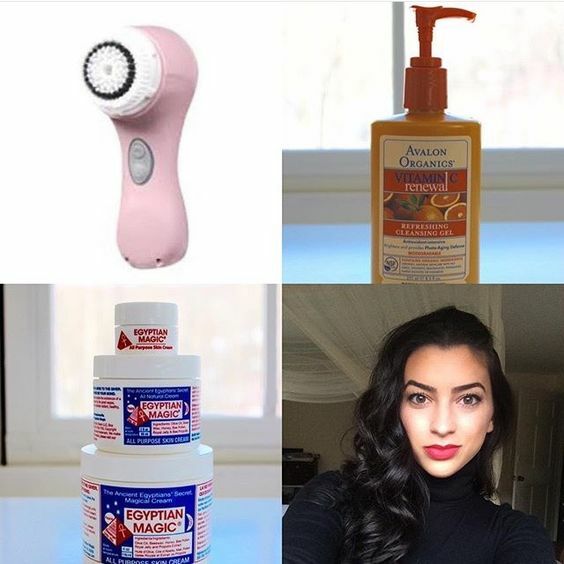 There is no better feeling than cleansing my face with my Clarisonic brush and then applying Egyptian Magic. It makes you not want to even put on makeup afterward! Next Post What to put in that cup first thing in the morning! What an informative post about skincare!!! Definitely want to look into this. I have been wanting a clarisonic for years but this may just make me go out and get it. Aw thank you lovely! 🙂 I’m so happy you enjoyed the info! Yes the clarisonic is such a worthwhile purchase, and I really don’t splurge on just anything. I’ve had it almost a year now, and still use it twice a day! Cara Belleza: good morning and thanks for your “like” in my blog. With your fabulous looks you can bewitch me into believing almost anything you write. Un baccione. Ciao! Good tips! Thanks for sharing. Will surely try the Egyptian Magic. I saw this and wanted to re-blog because I have used Egyptian Magic in the past, but then abandoned it. Maybe it’s fate I found this and need to repurchase? I have the same cleansing brush. It’s honestly the best cream I’ve ever found I use it at least 3 times a day. You won’t regret it! Found this great post on how to clear your skin up. 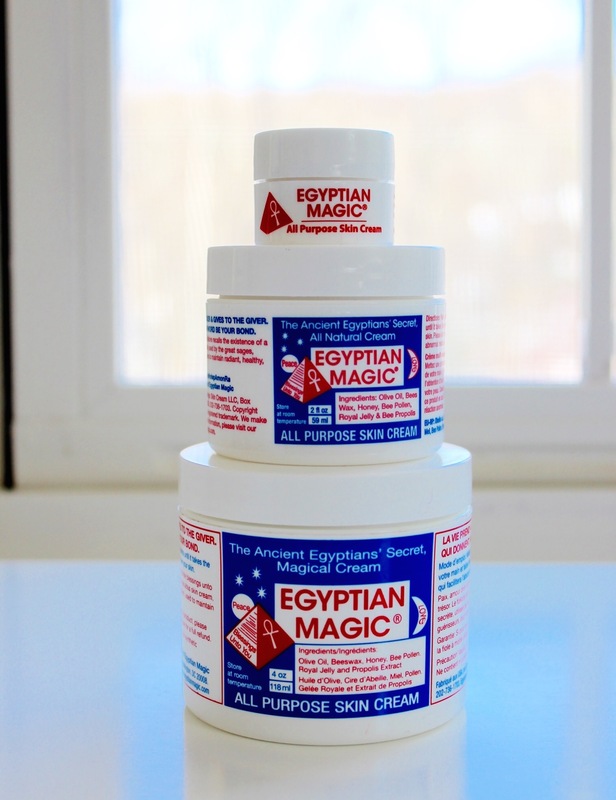 I really want to try the Egyptian Magic cream cause everything else I have tried so far did not meet my expectations. Reblogged this on A Healthy You. I’m gonna have to go look for it now! 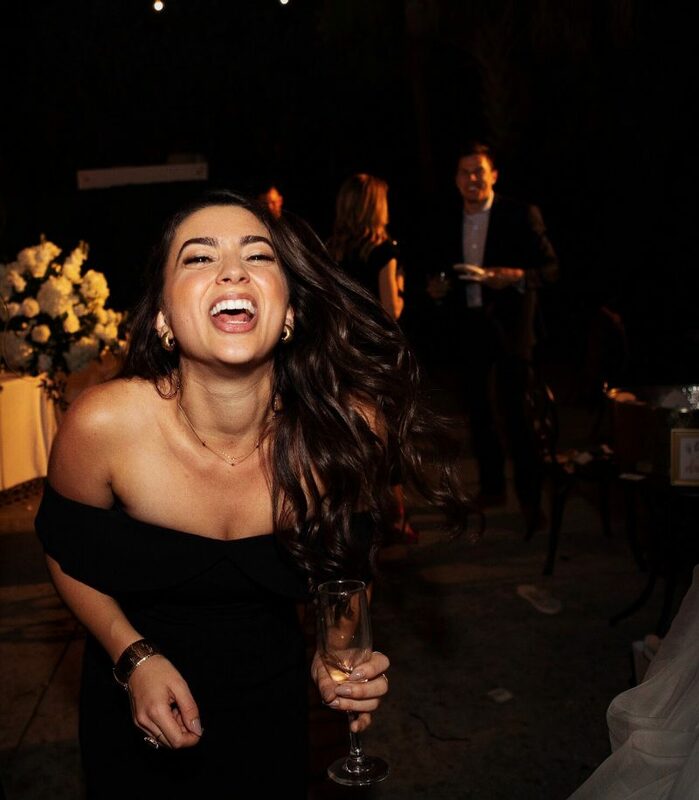 You will love love love!